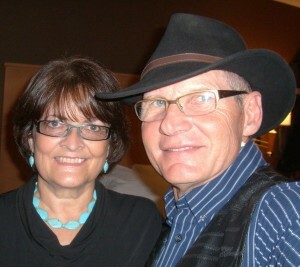 Prayer is requested for Jim Hocking, founder of Water for Good (formerly ICDI). He was taken to Lutheran Hospital in Fort Wayne, Ind., on Friday evening following an apparent stroke. He’s been undergoing testing since that time and is expected to stay at the hospital at least through tomorrow. Below is a post on Facebook written by Jim on Sunday, April 20, and shared here with his permission. On Friday evening I had a little more than a TIA….it was a stroke. The MRI showed multiple stokes on both sides of my brain so we have to find out what is going on. I arrived here at Lutheran Hospital in Ft Wayne late on Friday night and the good doctors and nurses here have been running tests for the past two days. I do not know all their names but here is what I do know. Heart Eco cardiogram showed a very nicely pumping heart No real problems on that one however with all that is going on they have ordered a Transesophageal Echocardiography which means they take a camera down my throat and take pictures of the back side of my heart. evidently there is a valve there that often causes some problems. In the mean time I have had a lot of blood taken for some cultures to see what is causing the blood clots causing these issues. I should not forget the brain scan they did to check out the brain activity and sadly to say they came up with nothing on that but I did go to sleep while they were doing it….. I will be here for another full day as they try and determine what all needs to happen and what medications I will need to be on. Thanks to many people who are praying! I will keep you posted….